Privacy rights are critical to criminal defense, including the essential Fourth Amendment protection against unreasonable searches and seizures and against warrantless searches that require search warrants only issued upon probable cause. As a Fairfax criminal lawyer, I have achieved many victories on the basis of Fourth Amendment search and seizure challenges. Despite fluctuations in Supreme Court personnel, numerous core civil liberties retain at least a basic level of SCOTUS protection over the decades (however, with numerous exceptions), including the Exclusionary Rule that remedies police Fourth Amendment violations by barring from trial the fruits of the evidence obtained in violation of a criminal defendant’s Fourth Amendment rights. “This case presents the question whether the automobile exception to the Fourth Amendment permits a police officer, uninvited and without a warrant, to enter the curtilage of a home in order to search a vehicle parked therein. It does not. “Imagine a motorcycle parked inside the living room of a house, visible through a window to a passerby on the street. Imagine further that an officer has probable cause to believe that the motorcycle was involved in a traffic infraction. 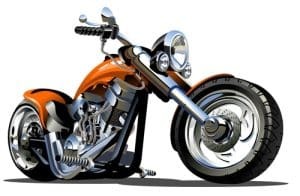 Can the officer, acting without a warrant, enter the house to search the motorcycle and confirm whether it is the right one? Surely not.” Collins v. Virginia, ___ U.S. ___ (May 29, 2018). Collins is a great U.S. Supreme Court case. Fairfax criminal lawyer Jonathan L. Katz has successfully defended thousands of clients in criminal court, since 1991. To discuss your case with Jon in confidence, please schedule an appointment through his staff at 703-383-1100.